Hanukkah, which means, “dedication, consecration, or inauguration” in Hebrew, is also known as the “Feast of Dedication,” or the “Festival of Lights.” It is celebrated in Jewish communities around the world in commemoration of the rededication of the Holy Temple in Jerusalem after a victory in 165BC, when the Jewish people, led by the Maccabees, defeated the army of the Greek Seleucid (Syrian) ruler, Antiochus IV Epiphanes. One of Antiochus’ visions was to destroy the Jewish religion by issuing decrees forbidding the practice of the rituals of the Laws of Moses and destroying copies of the Torah. Decrees were made against the observance of the Sabbath, the Feasts, and circumcision. Antiochus also set up an altar in the Jewish Temple to the Greek god, Zeus, with pork offerings. These unspeakable actions sparked the Maccabean revolt, led by the local high priest, Mattatias and his sons. Finally, after three and a half years, the armies of Antiochus IV were at last defeated by these heroic Jewish forces. Three years to the day from when the Temple was desecrated, on the 24th of Kislev, 165BC, the temple was cleansed and rededicated. As part of the Temple rededication, consecrated holy oil was needed to light the great Menorah. Unfortunately, only one small vial of the sacramental oil was found, enough to last only one day. Knowing it took eight days to prepare more holy oil, they nevertheless lit the great Menorah with the little oil they had. Miraculously, the oil burned for eight days, as a witness of the Lamp of God—the Light of the world—Yeshua! In celebrating Hanukkah, a special menorah is used as a symbol of the miracle of the oil—a Hanukkiah. 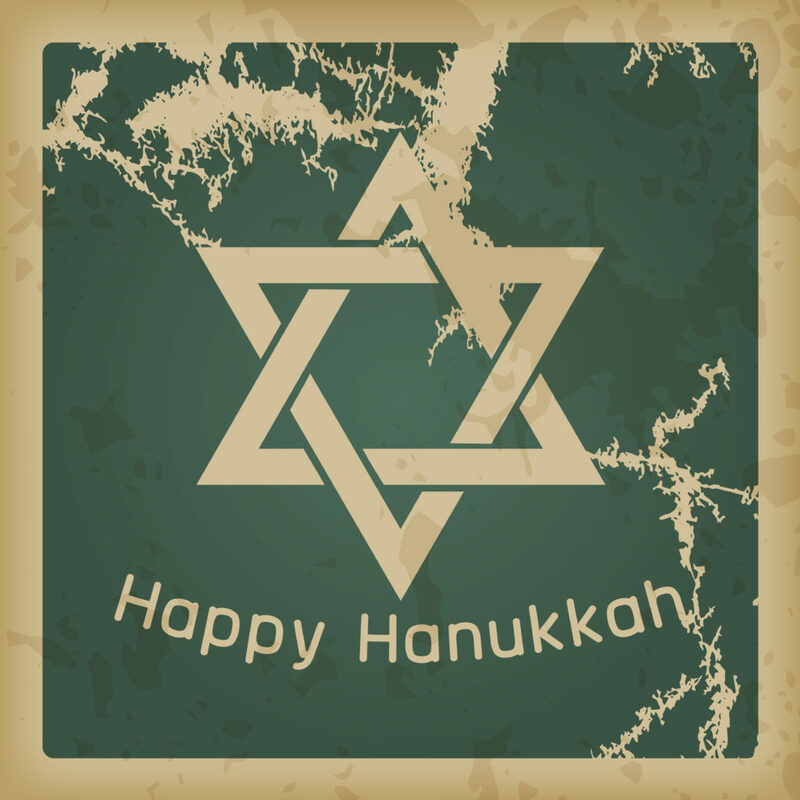 Unlike the Temple menorah which has seven branches, the Hanukkiah has nine. Eight branches which signify the eight days the oil burned in the Temple, and the ninth branch, the Shammas or Servant branch, located either above or set in the center, holds the candle—the flame—from which all other eight candles are kindled. The original seven branch menorah given to Moses during the Exodus, symbolized the promise of the illumination that was to come through God’s Anointed One—Yeshua (see Exodus 25.31-40 and 37.17-24). The Hanukkiah not only symbolizes illumination through Yeshua, but adds the eighth branch, the branch of new beginning (the One New Man), as well as the ninth branch, the Shammas or Servant branch (Yeshua) which lights all eight branches. Yeshua is the eternal Light of the world who lights the way for a new beginning for all who come to Him. ‘Don’t you know?’ the angel asked. ‘No, my lord,’ I replied. The number five symbolizes God’s great grace, goodness and favor toward His people through the saving grace of His Son, Yeshua. This year, on the last night of Hanukkah, as we light the eighth and final candle of the Hanukkiah—the candle which represents, a new beginning—let us remember that the Jewish New Year 5775 has already begun, and the new year of 2015 will begin in just a few short weeks… prophetically signaling passing through a time of completion. Be encouraged! We have stepped into a divine season of leaving behind the past and are moving forward into a new beginning—a season of God’s great grace, goodness and favor upon each of our lives. This year, as we celebrate Hanukkah, I would encourage you reflect upon a momentous event in history—an uprising resulting in religious freedom for the glory of the God of Abraham, Isaac, and Jacob—and to also look upon this season as truly a time of a celebration of Light. The Light of the world, Yeshua Ha Mashiach, illuminating the world with a promise of a new life… a new beginning for all who come to Him!